Bordering the North Atlantic Ocean, Gambia is the smallest country on the mainland of Africa. With only six hours flying time in the Uk, and suffering no jet-lag, you can be relaxing by the pool by late afternoon admiring the sunset. 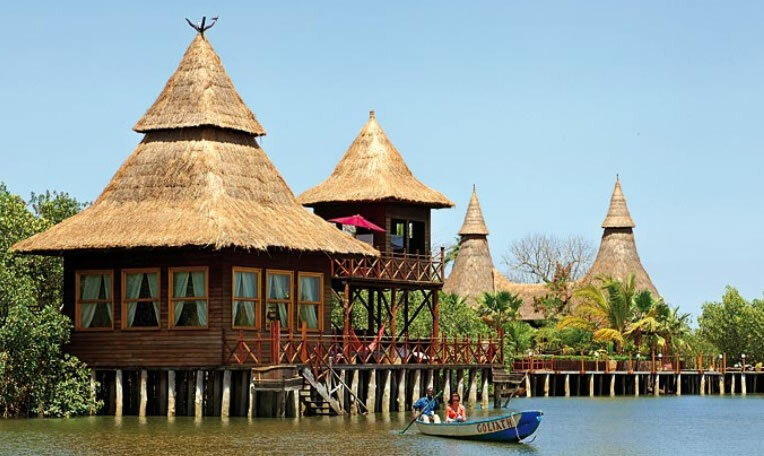 Our Cheap Holiday Deals to Gambia will bring you a wonderful welcome from locals where you can have the opportunity to explore its fascinating culture, history and landscapes. You’ll hear music where ever you go, from warm reggae or the shimmer of the Kora to the blues and jazz produced by musicians; make your Cheap Holiday Deals to Gambia an experience to be a part of. In Gambia their currency is Dalasi. Dalasi is available in the UK but you will get a better exchange rate then you would in the UK. The largest note available is 100D and the smallest is 5D. Our Package Holiday Deals gives you an advantage to see Gambia at its finest, you will find it cheap to eat, stay and travel in the country. You will enjoy uninterrupted sunshine and high day time temperature with almost no rainfall from November to June. August and September are months of heaviest rainfall, however rain often occurs at night and hasn’t distracted any holiday makers. It could be easy to be get caught up in learning what Gambia as to offer on our Package Holiday Deals, you are given the opportunity to visit the Sacred Kachikally Crocodile pool in Bakau, it has become the tourist magnet for its one-hundred or so residents of crocodiles, the crocodiles prefer fish rather than red meat, visitors are allowed to also pet them. Gambia is also growing more popular for families, our Family Holiday Deals to Gambia will appeal a stimulating experience for the whole family, and you will take fond memories away while enjoying our Family Holiday Deals. Gambia provides an educational journey to meet Gambian children and learn their different way of life, their culture and schooling. On our Family Package Deal it would be wonderful to make a visit to Abuko Nature Reserve, a walk through the 180 acres gives the whole family a chance to see up to 250 species of birds, Abuko places the protection and conservations of nature as a whole.